Your Laptop Stops Working - But Why Does it Fail? Your Laptop Stops Working – But Why Does it Fail? Why do you have this problem: If your laptop stops working, how can you prevent it recurring? You turn on your laptop, the laptop appears to power up, but there is no display or other sign of life. The problem is that the video chipset (GPU) is failing. This GPU is built into the laptop’s motherboard. The rest of the motherboard is working normally, which is why you can turn the computer on and see the LEDs light up. However, because the fault originates from the built-in video chipset, the computer will give you no display – even when plugged into an external monitor. Why does the GPU fail? There are 2 schools of thought on the subject. The first, and most commonly accepted reason why your laptop stops working is due to a faulty connection: The graphics chip is soldered to the motherboard. Over time, as the laptop is switched on and off over and over again, and as the chipset repeatedly goes from cold to very hot, the solder under the chip begins to fracture, and eventually the chip partially separates from the motherboard, resulting in minor malfunctions and finally failure of the video. Solder connections on processors seem to be very common failure points in modern electronics. In this particular case, the problem is a malfunctioning GPU on the laptop motherboard (typically an integrated Nvidia or ATI chip). Apparently, the video chipset manufacturers switched from a lead-based solder (high melting point) to a tin-based solder (much lower melting point). This, combined with an inadequate laptop cooling solution, resulted in a chip that runs very hot – enough to melt the solder and detach the chip from the board. This problem affects a wide range of laptops. 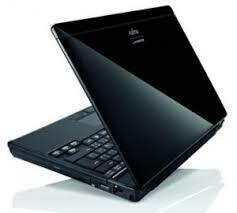 This is because the big graphics chipset makers – nVidia and ATI – make chipsets for many different laptop manufacturers. An alternative theory to explain why your laptop stops working is that the graphics chip itself fails internally, between the silicon crystal and chip base. If you accept this theory, our fix works because of the heat the chip coincidentally receives while going through the reflow procedure. In this theory, the issue is actually with the bumps that connect the die to the substrate, not the solder balls that connect the substrate to the motherboard. Whichever explanation you prefer, the bottom line is that the fixes described in Fix Your Laptop Yourself work because they cause the graphics chip to heat up sufficiently to re-melt the solder. 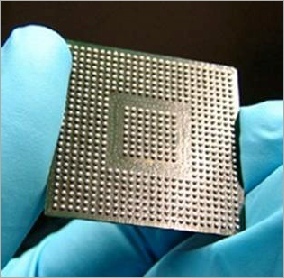 Subsequently, as the solder cools down and solidifies, the chip is automatically reconnected to the motherboard. Warning! 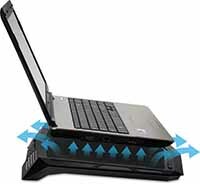 The techniques described in this guide should only be used as a last resort on laptops which would otherwise be discarded. You may cause further damage to the laptop while removing the cover, and while applying the fix you may permanently damage the motherboard. If your laptop is still under warranty – take it back to the shop. If the warranty has lapsed, and you have tried, without success, to get it fixed by a professional, then you have nothing to lose: You can either throw it away or try the techniques described in this guide. Fix Your Laptop Yourself describes 2 techniques that you can use to fix your computer. The first technique is the simplest: It requires no disassembly, and has a good chance of successfully rebooting your laptop with minimal effort. This technique will not give you a permanent fix, although it should give you enough time to offload your files and data. However, if you successfully restart your laptop using this technique, you are much more likely to succeed with the more permanent fix described in technique 2. I suggest that you try technique 1 first: At least it will give you the chance to make a backup of your hard disk, or even create a virtual image of the disk for use on another computer. Of course, your main aim is to revive your laptop and keep it in service for as long as possible. Regardless of the result of technique 1, you should still apply the fix described in technique 2. Also available to read on your Kindle devices and apps. The simple and inexpensive way to keep your laptop chilled. There’s a lot you can do to prevent your laptop from failing in the first place.